Venice Pet Sitting, LLC is a professional pet sitting company serving Venice Fl. Our service area includes the Island of Venice and zip codes 34292, 34285 and 34293. We are focused on providing the highest quality in service and customer satisfaction – we will do everything we can to meet and or exceed your expectations. We are fully insured and bonded. 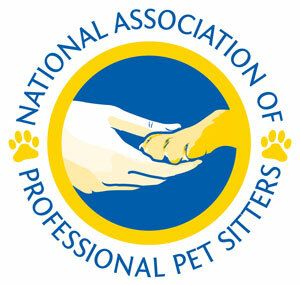 In addition, we belong to National Association of Professional Pet Sitters and the Venice Area Chamber of Commerce. Look around our website and if you have any comments or questions, please feel free to contact us at 941-468-2922. Our services will be customized to meet your needs. Your pets will love us! Susan is the best – not a moment of worry when she is on the job! My kittens love her. Susan was very professional. She visited beforehand to meet the cats. Sent us photos and texts every day to tell us how they were doing and left a detailed report at the end. Great service and our friendly cats loved her. Susan Klein was absolutely outstanding! She took excellent care of our pets and took care of the daily necessities of our property. She provided us a peace of mind that was worth much more than she charged. I highly recommend Susan Klein and Venice Pet Sitters. Suzi has cared for Winston my 20-year-old male Siamese for the last 9 weeks. He was not doing well when she first started caring for him. In a short period of time, she had him eating and going strong. Best he has been in over 2 years. I can assure you that your dear pet will not be in kinder and experienced hands than Suzi. Venice Pet Sitters are wonderful! Susan is so caring and organized. We have total peace of mind while we are away knowing that our home and pets are being looked after. I would highly recommend them!